Impressionism was initially developed by a group of now-iconic artists meeting in Paris’ famous Cafe Gerbois all the way back in 1867. These friends included Claude Monet, Edgar Degas and Camille Pissarro. During the Napoleonic Wars, these artists were forced to travel and many ended up in London, where they were exposed to the London National Gallery and were inspired by painters like John Constable and William Turner. After later re-locating back to France, the newly-inspired artists began creating unsaleable paintings with loose, spontaneous brushwork. In fact, many of the original Impressionists were unable to break into the snobby world of French art, and they had to sell their work for a pittance. In a letter to an art critic friend, Edouard Manet asked if he could help Claude Monet find a patron who would buy 10-20 of his paintings at 4 pounds - the equivalent of around $340 in current dollars. Can you imagine getting that deal today? Although Impressionism wasn’t well-loved by critics for several years, artists around France and, later, around the world were inspired by the vibrancy of this modern art form. 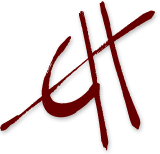 Spin-offs and “post-impressionist” movements were formed, and art became much less staid in the late 1800’s and early 1900’s. Impressionism is often characterized by its study of light and the vibrant colors used to convey an impression of a scene. The brushwork commonly employed in Impressionist works is loose and layered, with the paint mixing on the canvas rather than being premixed, painted on, and then blended. When the Impressionism movement began in 1867, its founders were feeling their way through the creative process, trying different painting styles, painting en plein air, and utilizing the new, luminous paint colors available through the latest developments in chemistry. 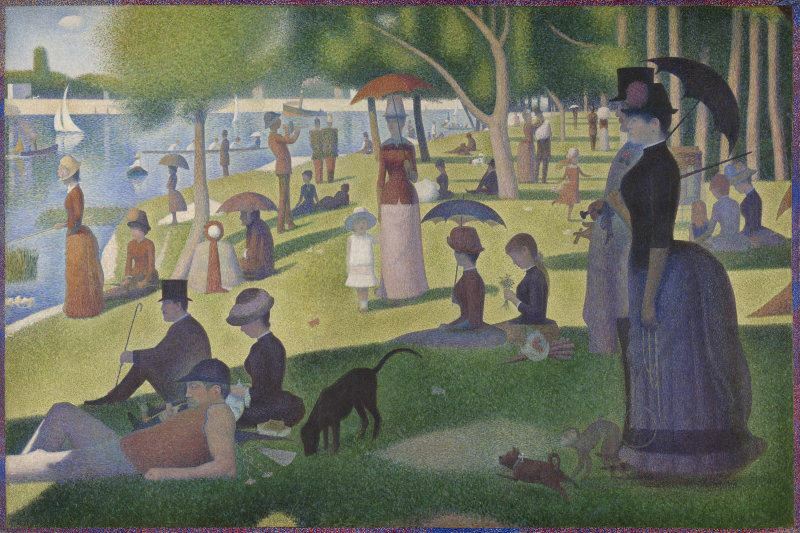 Neo-Impressionism This art form was created by Georges Seurat and is mainly characterized by his distinct style of painting. Many Impressionist art uses short, brusque paint strokes. Neo-Impressionism takes this style even further, painting small dots of unmixed color in small spots side by side. The actual “mixing” of the paint occurs only when a viewer’s eye takes the piece in as a whole. Many Neo-Impressionist painters like Camille Pissarro and Paul Signac were originally Impressionist painters, and in many ways, Neo-Impressionism can be seen as a natural evolution of Impressionism, inspired by new developments in chemistry, paint colors, and even in photography. So, you can see why some painters decided to stick with pure Impressionism or Neo-Impressionism. Post-Impressionism, as expressed by Vincent Van Gogh, Lucien Pissarro, and others, can often have more strata of meaning to dig through than layers of paint on the canvas itself. 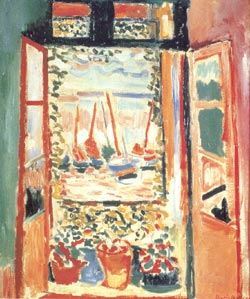 Fauvism was started by Henri Matisse and Andre Derain and was one of the first painting styles to break from Impressionism wholly. This avant-garde movement is a subjective response to nature - so it is an emotional representation of how one feels about a scene. Impressionism inspired the bold brushstrokes and unmixed, vibrant colors that characterize this movement, but there is often very little that indicates the real light, movement, and shadow shown in a pure Impressionist painting. 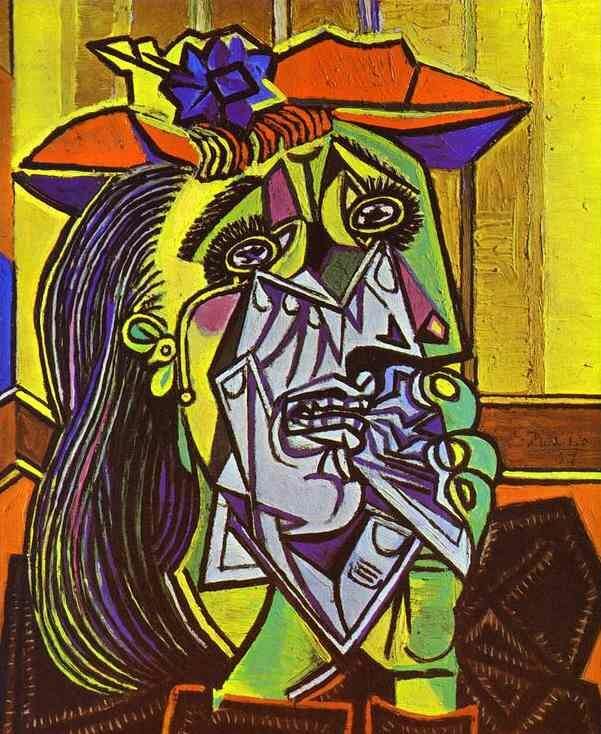 Cubism is most commonly associated with Pablo Picasso - and rightly so. This master artist helped to create Cubism, along with Georges Braque. While not every shape used within a Cubist painting is actually a cube, these painters use geometric shapes to emphasize the two-dimensionality of the medium upon which they are working - the flat canvas. However, even though a Cubist painting often combines shapes, the actual subject of the art can often be discerned. As you can see, art and artistic styles have changed over time. 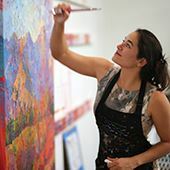 That is what makes Erin Hanson’s Open Impressionism style of painting both traditional and unique. While painters have been deriving styles from pure Impressionism for over a hundred years now, very few have returned to the essence of Impressionism - that of capturing light and movement with vibrant colors. Open Impressionism does just that, using both the texture of the paint and the application of vibrant, unmuddied color on canvas to celebrate the light and beauty of our modern world. Impressionism didn’t die out in the late 1800’s when Post-Impressionist and Neo-Impressionist painters began experimenting with style and form. In fact, Impressionism left France and circled the world through the 1900’s and beyond. Our next and final article in the Impressionism Series discusses the love of Impressionism shown around the world, dabbles in a little bit of the conspiracy surrounding one painter who died before his time, and wraps up with a modern take on this incredible artistic style. Need something to tide you over until our next article? 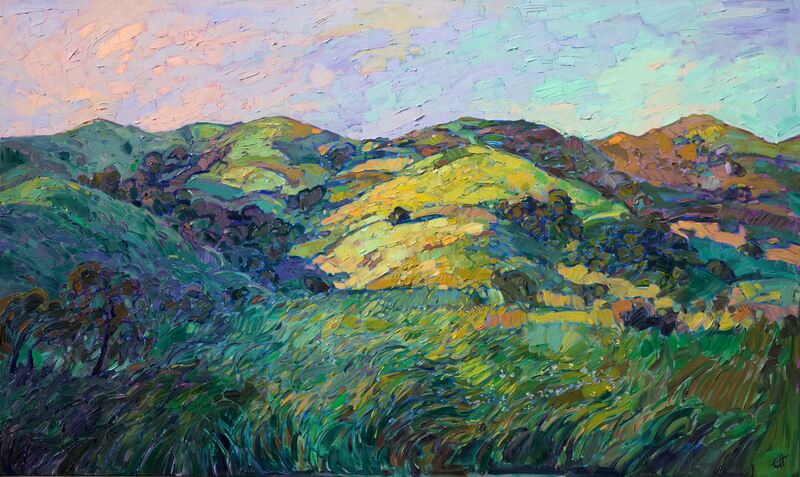 Be sure to explore Erin Hanson’s portfolio - or, if you are local to her new San Diego location, find out how to visit her gallery!